I confess that I like O'Rourke as the person he actually is - a dreamy-eyed Libran with whom I happen to share a birthday (Sept. 26), if a few years apart. He also shares my husband's high school alma mater, Woodberry Forest. In a star-gazing, palm-reading, karma-kind-of-way, he's a pretty irresistible combo, but mostly for dating. That’s some mighty serious political analysis, Kathleen! 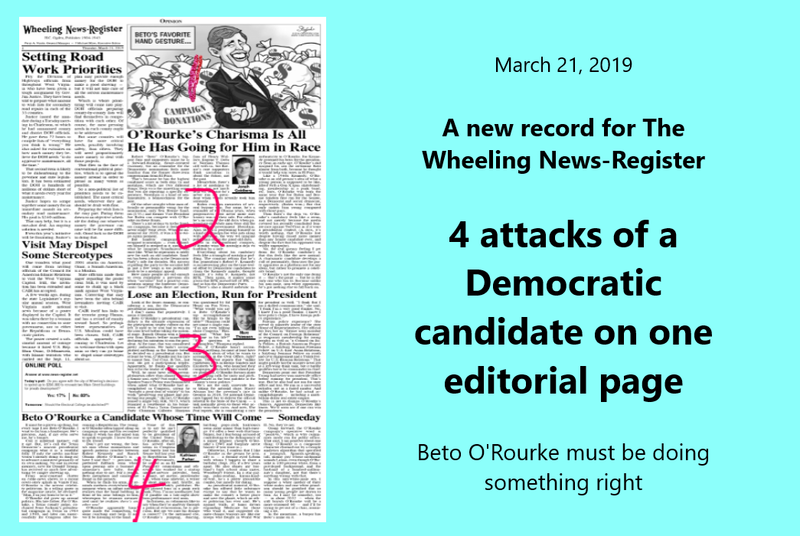 As for the political cartoon, O’Rourke is attacked because he’s been soliciting campaign donations. I’ll bet Republicans never do that.